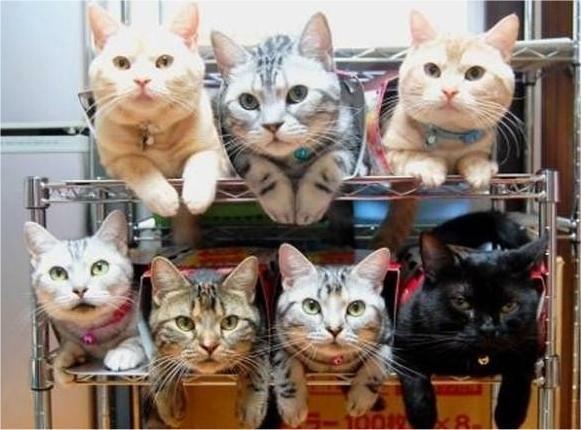 None of these cats are featured in this post. But boy, are they cute. My girlfriend and I have three cats. There’s the one who lives with us, the one that Becca adopted a few years ago. She’s charming, moody, and snuggly. The perfect cat. She’s all we could ever want. 2. Pouncival. Early on in our residency at our Manhattan castle, we looked across the courtyard to see a stunning white cat seated on a window next to the fire escape. This is Pouncival. He is Franny’s actual boyfriend. In the Moulin Rouge version of our lives, if Franny equals Satine, Pouncival is The Duke. Tito is Christian. Franny is nominally betrothed to the stunning coat and manicured nails of the gentleman across the way, but her heart belongs to the Puerto Rican street tough that may or may not show up from day to day. This is how we pass the time, waiting until there are new cats for us to call our own.